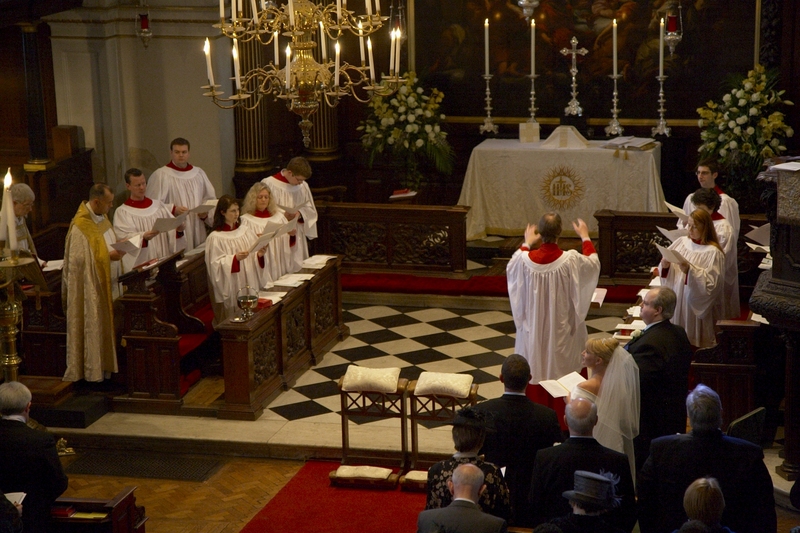 A rehearsal is normally held in the Church a day or two before the wedding. More information about being married in the Church of England can be found here. There are a number of separate fees to be paid to the Church for your wedding. Details of these will be provided by the Rector at your first meeting with him. It is customary for the Church's own Organist and Director of Music and choir to sing and play at weddings If you wish to use other musicians in addition to, or instead of the Church Choir and Organist, please mention this at the time of confirming your wedding, and speak to Simon Williams as soon as possible. There are a number of separate fees to be paid for the music for your wedding. Details of these will be provided by the Rector at your first meeting with him. Also, please note that both the Organist and Choir fees aredoubled if there is any video recording, by either you or any of your guests. Please discuss any possibility of video recordings being made with the Director of Music at your first meeting to avoid misunderstanding. We also ask that you make the position clear to your guests to avoid any difficulty or embarrassment on the great day. All musicians' fees are payable in their entirety to the musicians and not to the Church. Such musicians' fees will be included in the Church's invoice. Please note that all of the above fees may be subject to a small periodic increase. Should an increase occur between the date of your booking and the date of your wedding the new figure will apply.